I always get excited to hear of a new restaurant opening here in Nocatee. More food options is always a good thing. 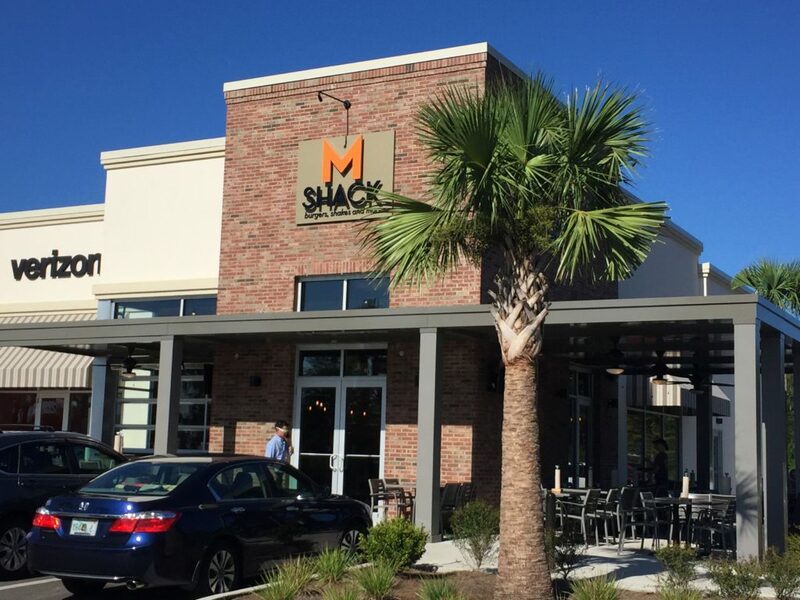 I have heard many friends speak highly of M Shack located at St. Johns Town Center in Jacksonville. 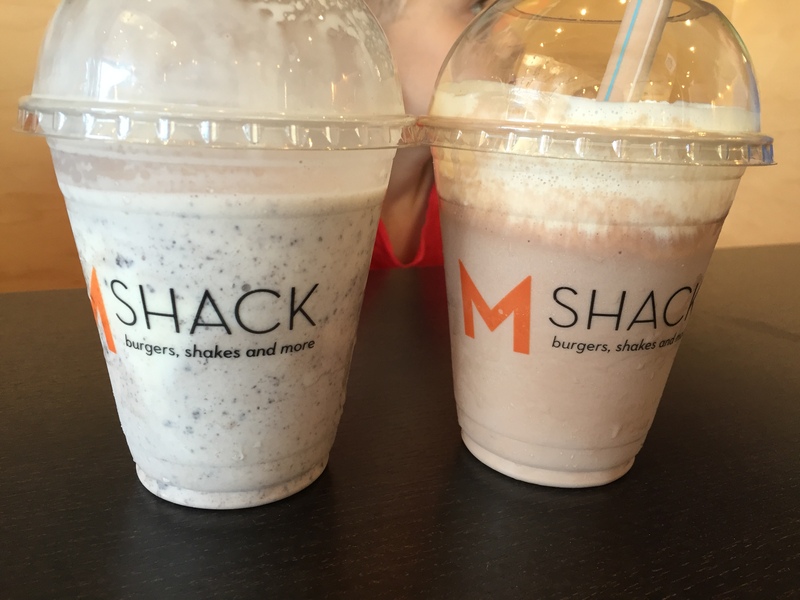 Everyone raves of their burgers and shakes. I didn’t get a chance to try out the Jacksonville location, however I was happy when I learned of one being built right here in my neighborhood. 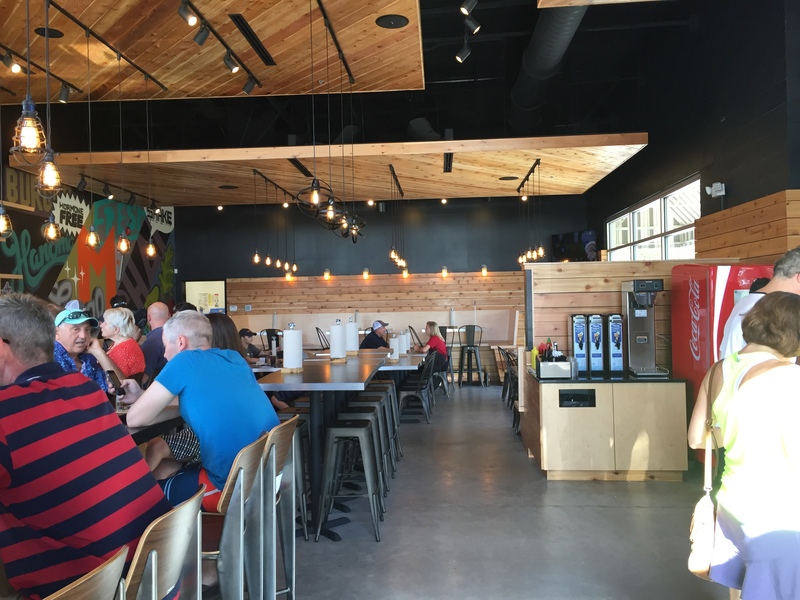 I had the chance to take my family to the new Nocatee location and review some of the food on their menu. 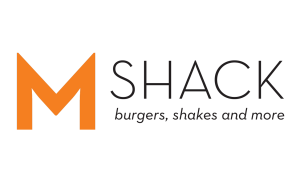 Welcome to M Shack, a collaboration by the Medure brothers – Matthew & David – fusing the old fashioned burger joint with style and fresh ingredients. 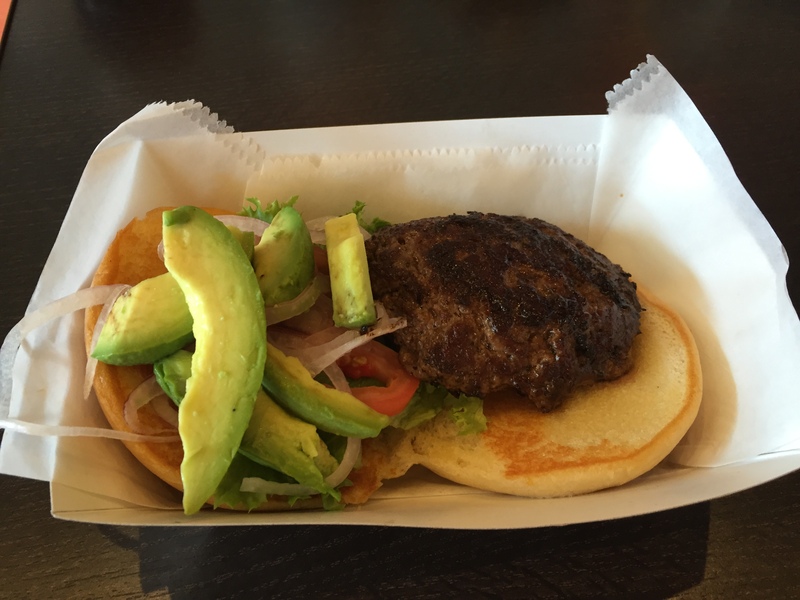 M Shack burgers are made with all natural, hormone-free beef ground fresh daily. 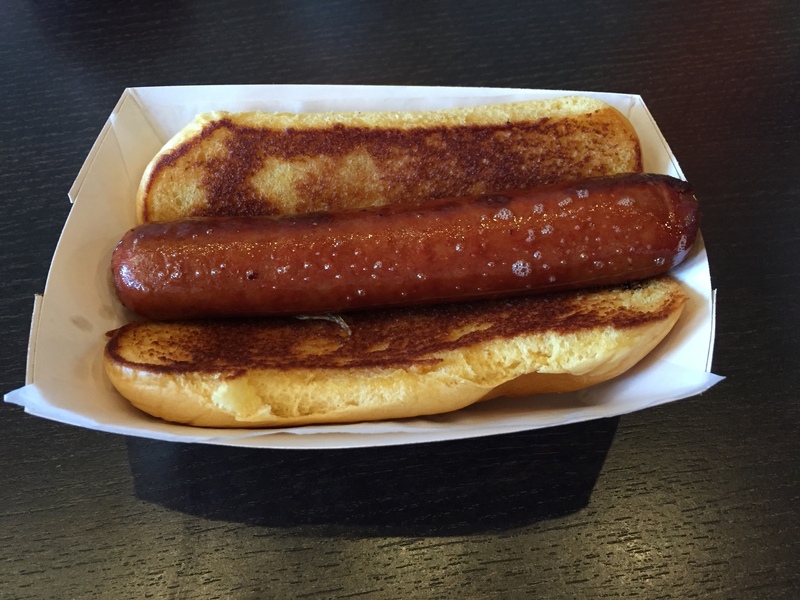 Juicy, all beef hot dogs, hand-cut fries, mouth-watering milk shakes and more help complete their unique menu. M Shack currently has 4 restaurants, with the newest one being in Nocatee that opened this summer. 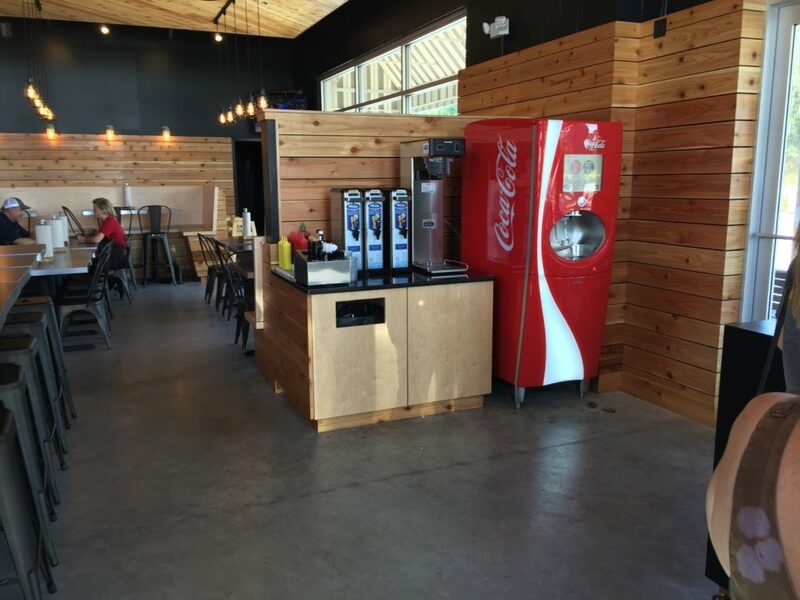 The new Nocatee location seats 75 indoors, with additional patio seating for 50. 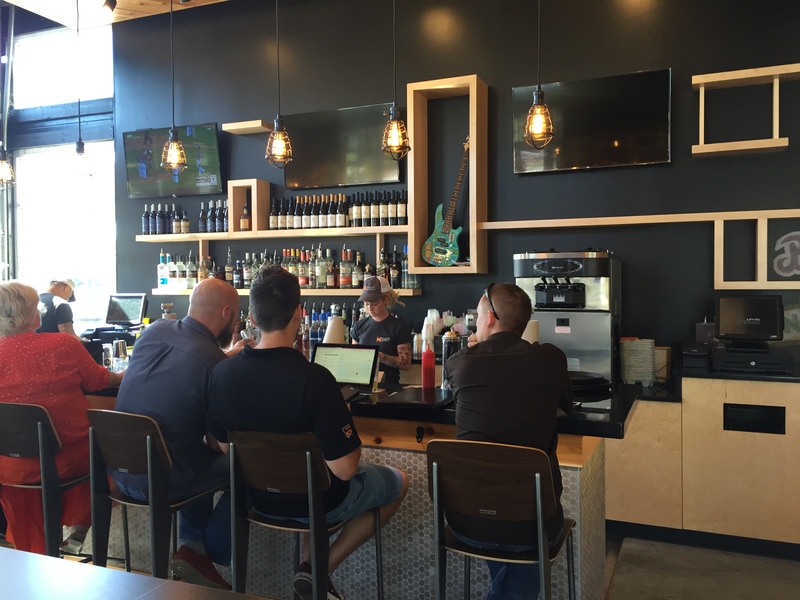 When you walk in you can grab a menu at the counter and decide what you would like to order. Once you decide you order right at the counter, grab a table number, and sit down and wait for your food to be brought to your table. They have a great variety of items on the menu to order. They have a full bar as well with beer on tap and “Adult”spiked milkshakes. Overall the restaurant has a very nice atmosphere. Small sized Cookies and Creak Milkshake ($4.00) and Small sized Marshmallow Brûlée ($4.00). My daughter ordered the Cookies and Cream and my son ordered the Marshmallow Brûlée. Both of them raved about how they tasted, and I must agree. I tried both and honestly was hesitant to give them back! They tasted amazing! We even got to see the bartender torch the top of he Marshmallow Brûlée shake just like they do to Creme Brûlée. 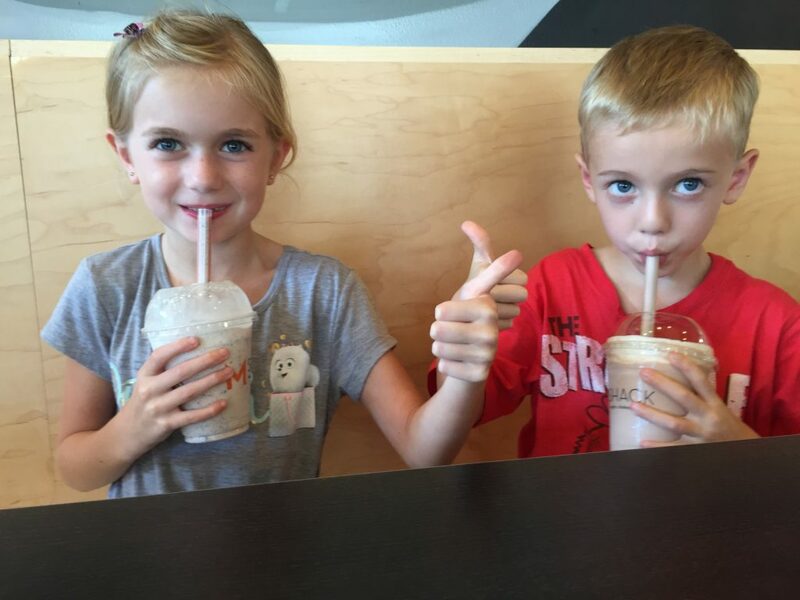 As you can see in the pictures, 2 thumbs ups for M Shack shakes!! Build your own burger is priced starting at $4.25 for a single patty which I ordered. Options are a single patty, double patty, turkey, salmon, crab cake, veggie or marinated chicken. They have free toppings such as lettuce, tomato, raw onion, pickles, banana peppers and more. There are also additional toppings you can get for a small charge. I ordered my single patty with lettuce, tomato, raw onion, and Avocado which was an additional charge of 95 cents. Worth every penny since they did pile on the Avocado! I ordered my burger as medium well and it was cooked perfectly. The burger was nice and juice and tasted amazing. 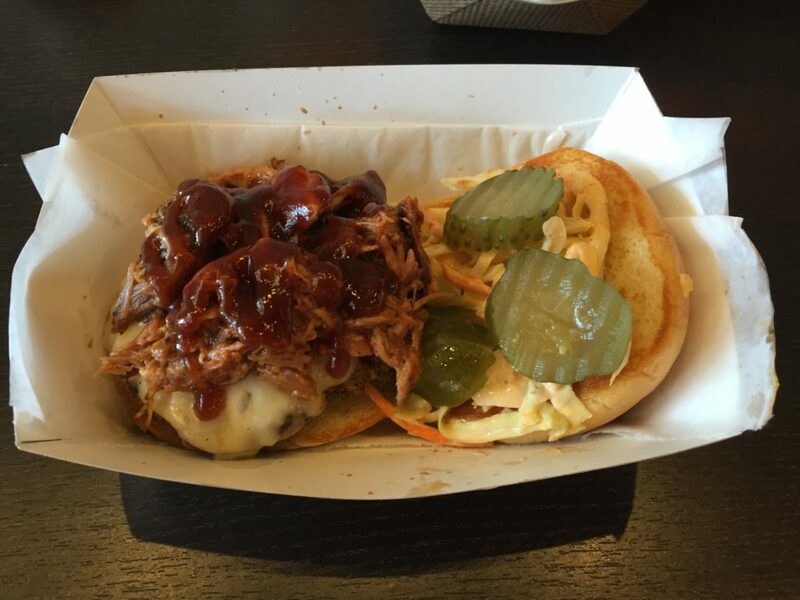 Swamp Burger ($7.50) is a signature beef patty topped with pulled pork, house made BBQ sauce, pickles, swiss cheese and a ranch coleslaw. My husband was craving pulled pork so once he was this burger on the menu he knew it was for him. He ordered his medium and it came out cooked perfectly. He said the BBQ sauce paired with the ranch coleslaw gave it a delicious flavor. He can’t wait to order this burger again. We ordered a side of Taco Fries ($6.50) to go with our burgers. 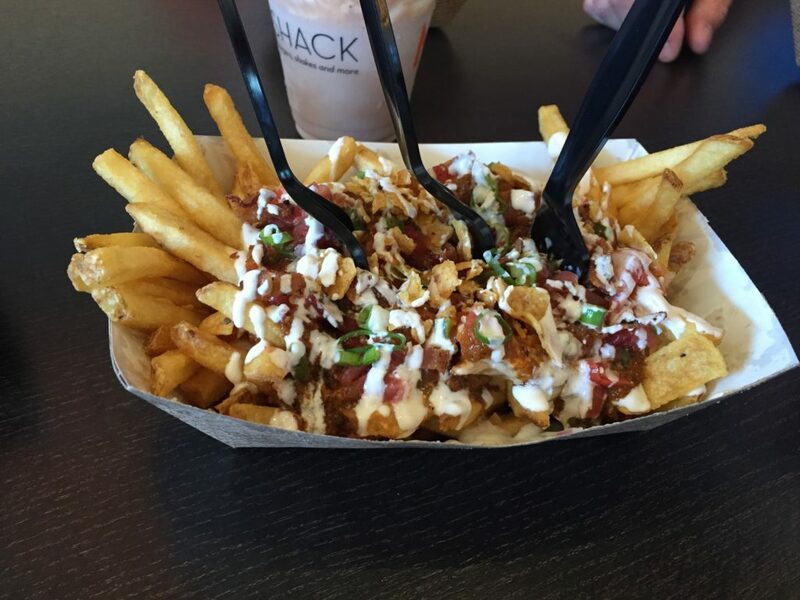 These are friend with house made queso, sour cream, chili, bacon, scallions, fritos® and house-made pico. We have never had fries like this before, they were so good! Even my kids loved them. The size was perfect for sharing between my husband, myself and 2 kids. The chili was delicious and give you plenty of it! 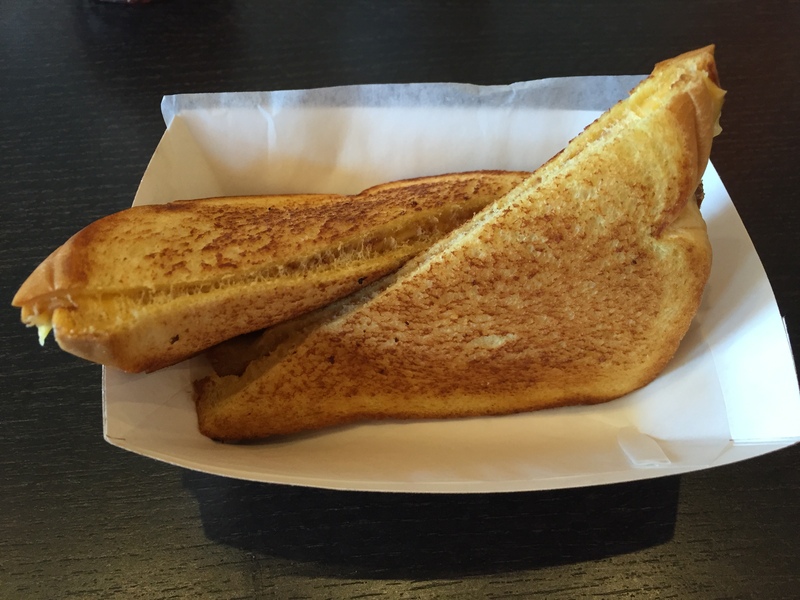 Off the Tiny Tots menu my daughter ordered the Grilled Cheese ($3.25) which has classic and american cheese on potato bread. She said it was very tasty and gooey with cheese. It was a good size to0. Off the Tiny Tots menu my son ordered the Hebrew National All-Beef Dog ($3.50) on toasted bun. My son is currently addicted to hot dogs and said this one was one of the best he has had. It was a good size and nice and juicy. All of the items are A la carte, so they do not come with a side. They do have a variety of sides you can order including tator tots, onion rings, fries and more. All of the food was delicious that we reviewed, and we definitely will be back. I am very happy that M Shack is here in the neighborhood and look forward to returning with my family to enjoy another meal and seeing some of my neighbors. Check out their full menu to see what items they have to offer. Click here to check out all of the restaurants that are owned by the Medure Brothers. 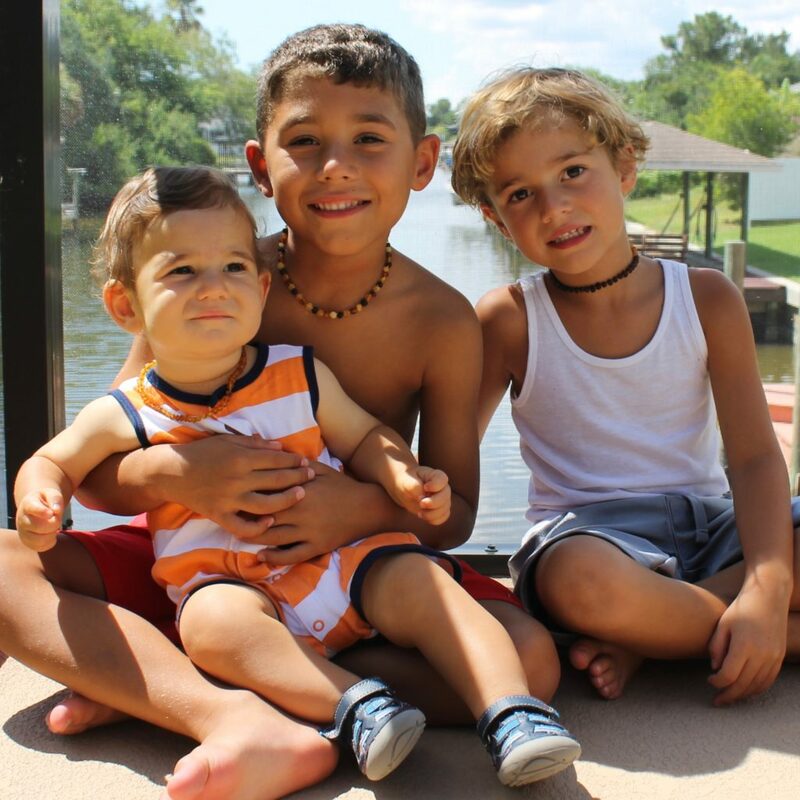 “What is that beaded necklace your son is wearing?” I received this question about ten times after I posted a photo of my youngest , Matteo, wearing a Baltic Amber necklace on social media. I have three boys ranging in ages from 11 months to 7 years old but only until recently did I learn about the benefits of Baltic amber. With each baby I have turned more and more to natural remedies rather than synthetic medications. 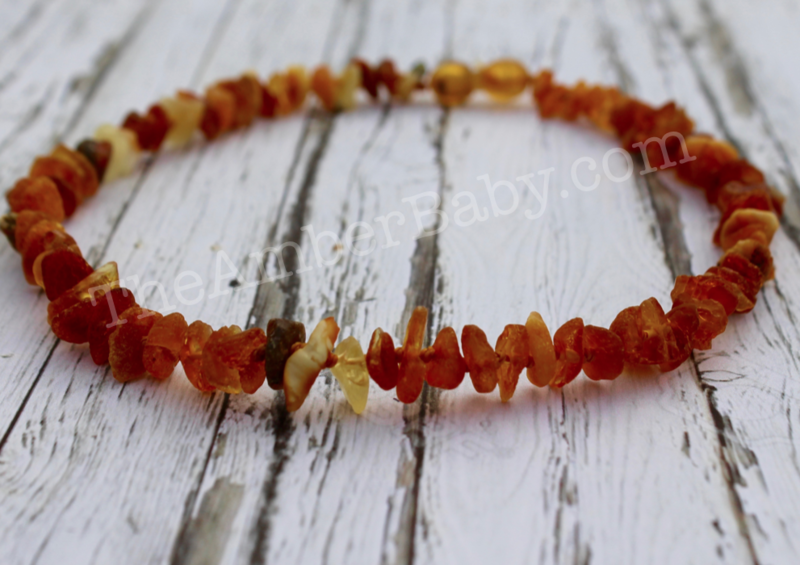 When Matteo was 4 months old and began teething, I decided to research Baltic amber after it came recommended from a friend and purchased my first amber necklace for him. Within a couple of days of wearing his necklace, the drooling suddenly stopped and it seemed as though he had been soothed. I was honestly amazed! Commonly known as “teething jewelry” in Europe, Baltic amber has been used as a natural remedy for thousands of years. Baltic amber is a fossilized resin, not a gem, that washes up on the shores of the Baltic Sea. The resin comes from prehistoric trees, dating as far back as 50 million years ago. Over time, the resin is transformed to amber due to processes of polymerization and oxidation. Baltic Amber is known to have analgesic properties. When worn on the skin, the amber warms and the natural succinic acid is absorbed through the skin which helps to relieve pain. Shortly after recommending Baltic amber to all my mom friends, I decided to start my own website. All of our necklaces are made using raw Baltic amber from Lithuania. Amber is collected and mined in many different regions of the world but Baltic amber has the highest succinic acid content. Baltic amber is not only for children but can help people of all ages. It’s helpful in the relief of painful arthritis, headaches, dental issues, etc. I hope to soon begin carrying adult sizes as well. Being that I’m a neurotic mom myself, before purchasing the necklace I questioned, “How safe are these?” We already know that succinic acid is natural and beneficial. To maximize the safety of our necklaces all beads are hand-knotted in between every bead. This prevents beads from scattering if the necklace should break. All necklaces are fastened with a plastic pop-clasp which will automatically open under a defined tension. While your baby sleeps, it is advised to remove the necklace or wrap around the baby’s ankle. As always, all jewelry should be worn under adult supervision. TheAmberBaby.com would like to host a giveaway to one lucky reader! Enter to win a Raw Chips Honey and Caramel necklace with your choice of size (11” or 13”). Giveaway ends 8/5. U.S. Only. Even if you’re not a winner, enjoy 10% off all jewelry on our site with coupon code Mommy10 now through August 8th. Remember to follow us on Instagram and send us photos of your cuties wearing our jewelry with hashtag #TheAmberBaby. My children love art. 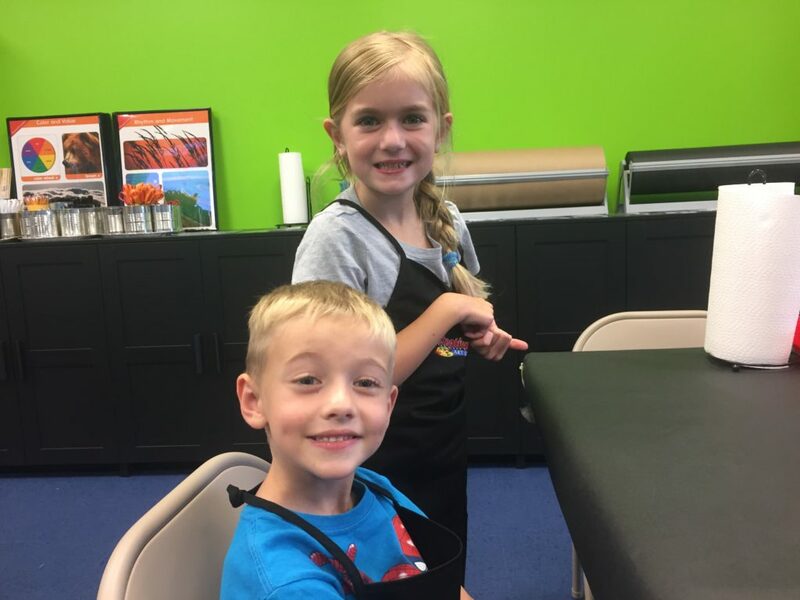 They love to create paintings, drawings, clay creations…you name it! 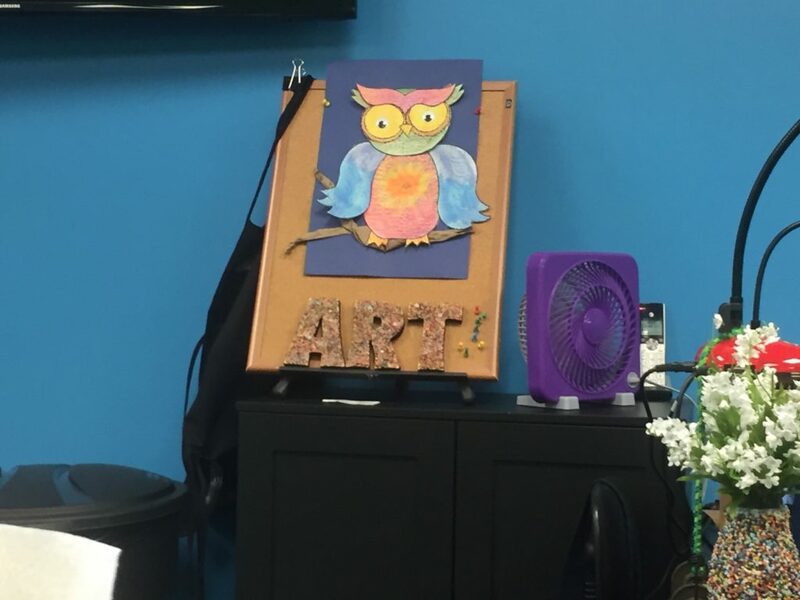 We just heard about a brand new Art studio that has opened up near Bartram Springs off Racetrack Rd in St. Johns called Creative Me Art Studio. Very convenient to the Nocatee area, so we were excited to check it out! Anne, myself and our children were invited to Creative Me’s Family Fun Night. 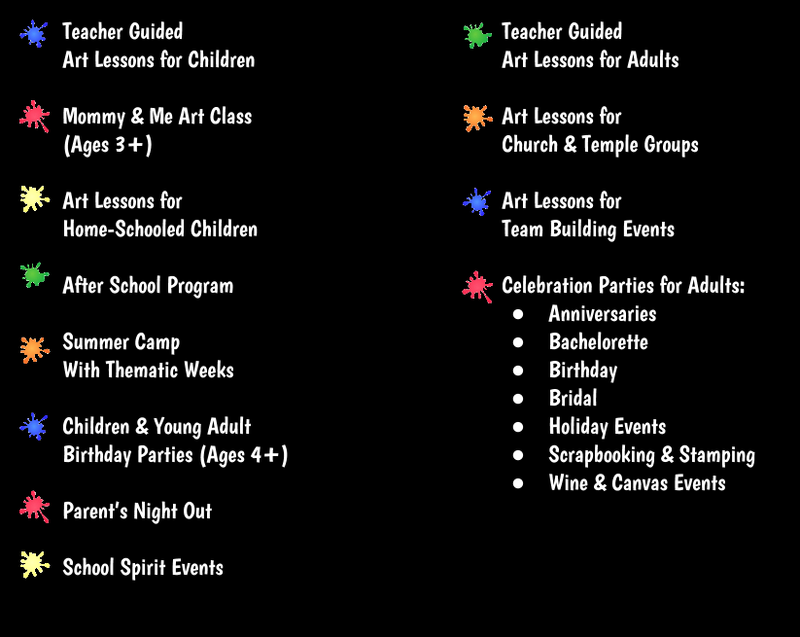 Family Fun Night is offered in July every other Wednesday evening from 6pm-8pm, and in August they offer it every other Thursday evening. 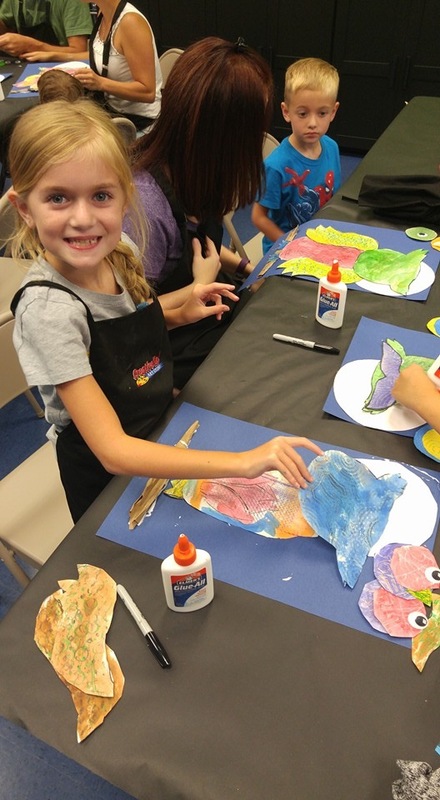 Family Fun Night is great for families with children 3 years old and up to do some hands-on, make-n-take art projects. There is a minimal fee of $10 per child. Parents can join in for FREE! You must call to register since this event sells out quickly! When we arrived, we were greeted by very friendly staff and given raffle tickets for a raffle that evening. We headed down to get our aprons on and then found a seat. Once everyone arrived it was time to start our project! The kids were excited to find out they would be making an Owl art project. It looked very cute and they couldn’t wait to make it. All the supplies you need are provided and on the tables. There are 2 large TV screens in the room where the projects are being projected by the Art helper. It is nice to have the screens to show the children step by step on what to do. The project took about an hour and a half to do, and the kids had so much fun with all of the various steps. They were able to color, paint, cut, glue and more! When the project was completed each child received a balloon to take home. 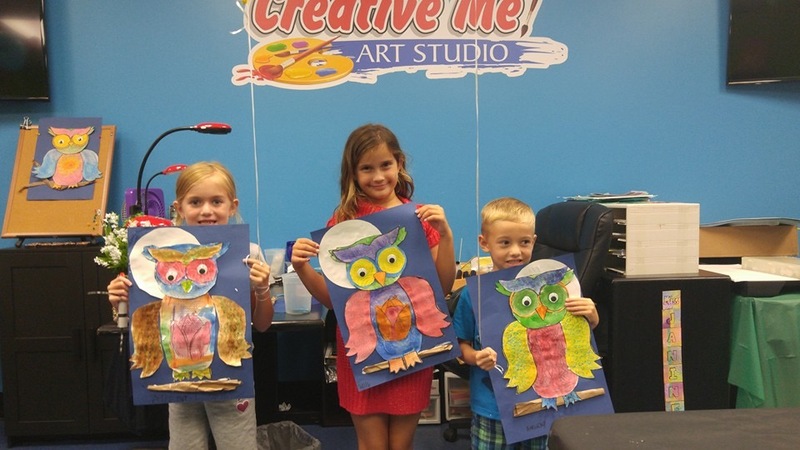 I highly recommend visiting Creative Me Art Studio for the next family fun night! The projects are so much fun, and for only $10 per child, you can’t beat it! We are looking forward to returning and creating more fun projects together! 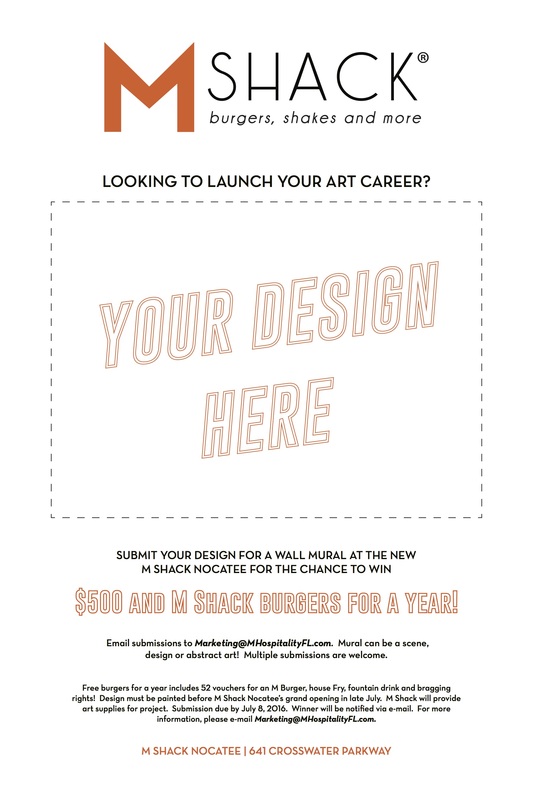 Check out their website to find out information about all they have to offer! 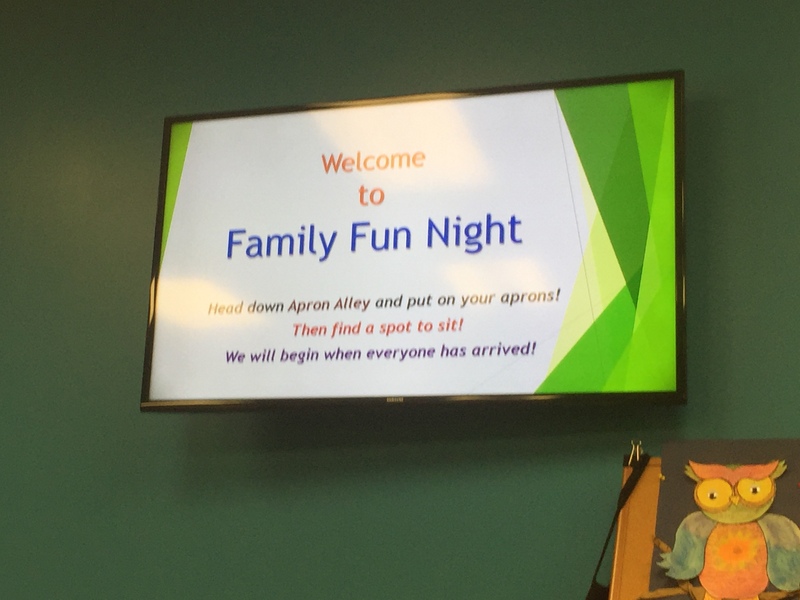 *We were invited to Family Fun Night in exchange for an honest blog post. I am not affiliated with the company and all opinions are my own. I love to have my house smell wonderful, who doesn’t? I would buy plug-in air fresheners, candles, sprays you name it. Yet, the fragrance doesn’t last very long at all. So I go out and buy more, and spend more money. I always think gosh there has got to be a better way than this. Well, luckily I was introduced to a line of products that has solved me problems completely. Let me introduce you to Pink Zebra Soaks!! Pink Zebra is an American company that sells home fragrance and decor. Pink Zebra uses non-toxic soy to scent, making it kid and pet friendly. They offer Sprinkles, Simmer Pots, Shades, Glimmer Candles, Simmer Lights and Soaks. You can customize for your own look and create your own custom fragrances. You can plug-in, soak, or even light! What is Pink Zebra Soaks? 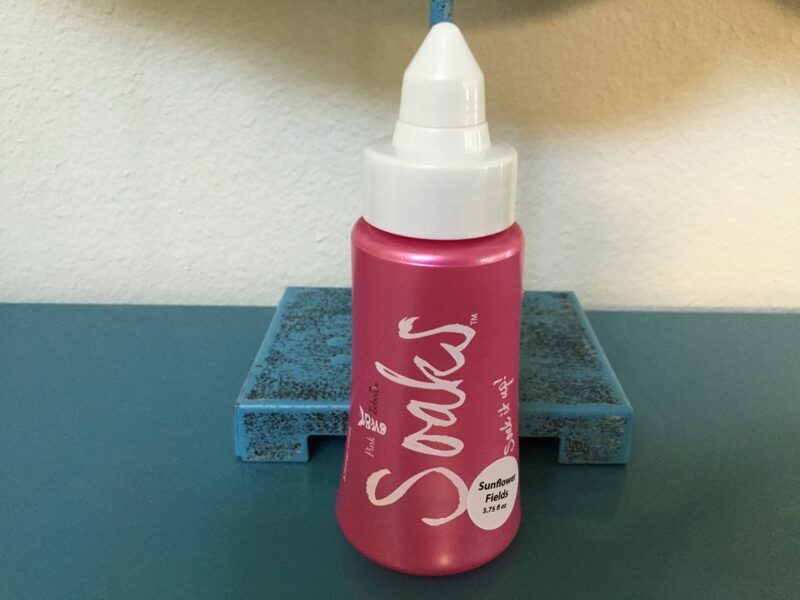 Soaks is a container of liquid fragrance. It comes in a squirt type bottle and you can squirt the fragrance on Pink Zebra products such as their reeds, woolies, clip-its and more! You can even mix multiple scents to make your own. This to me sounded amazing since I hate leaving warmers plugged in all the time, especially when we go out or are on vacation. Now I don’t have to worry about that. The scent from the Soaks lasts and makes each room in my house smell wonderful, without worrying that you left a candle lit or a warmer on when you left the house! 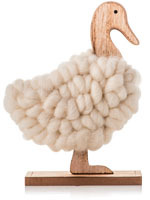 Designed for use with Naked Reeds, Clip-Its, Woolies, Hang-Its, Go-Cards, Lotion. 3.75 fl. oz. bottle. Can be blended with other Soaks scents. $12 per bottle, comes in 33 different scents. 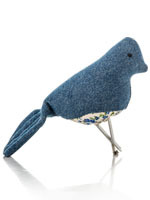 This bitty birdy is adorned in indigo demim with a blue floral pattern on his belly. Designed to Just Add Soaks. A few drops and you can clip this little bird to car vents, lamp shades or any space you want to liven up with cuteness and fragrance. Three different designs to choose from for $16.00 each. Turn every drive with Paisley into a road trip. Includes a 4 pack of Paisley Go-Cards with Soaks pouches. They go anywhere! Just Add Soaks and hang them in your car, closets, lockers, the possibilities are endless! 2 different designs. 4 pack is $8.00. 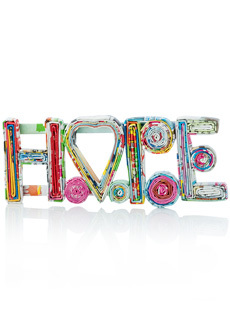 Everyone needs a little hope. . .with a squirt of Soaks! A little squirt of Soaks and faith goes a long way! Hang them on a car mirror, doorknob, lamp shades-anywhere! Handmade with recycled magazines. Prices range from $10-$22. 4 different designs for $10 and the sea animals go for $22 for each 2-pack. 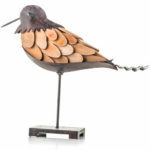 A hand-crafted bird made of metal, painted taupe brown. Her feathers are natural wood pieces that are meant to Just Add Soaks. 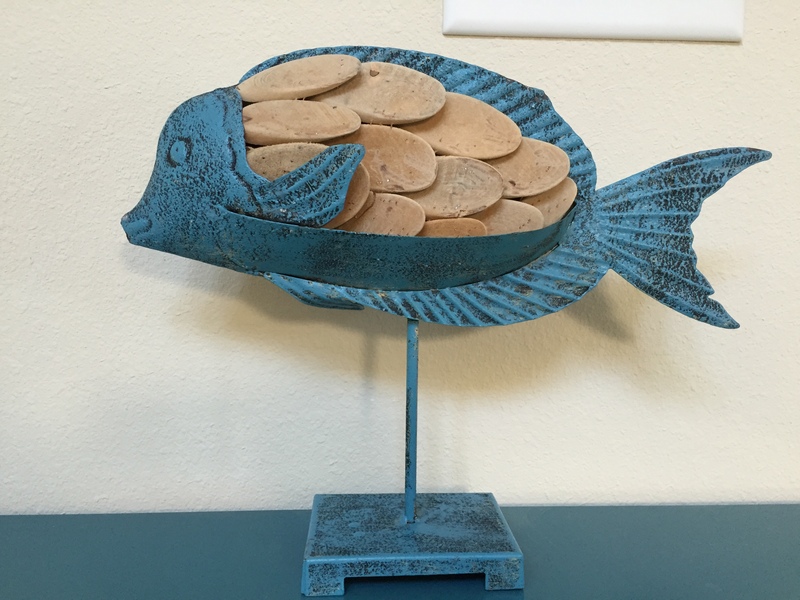 It’s a versatile piece of décor that goes anywhere like bookshelves, desks, and countertops. These aren’t the average reed diffusers. Create your own blends of Soaks! Includes a cap so it can be shaken, maximizing fragrance absorption. NAKED bird and fish are $50 each and reeds are $6. This white duck waddles to the beat of her own beak. Nests near fresh water and ponds of Soaks. Quack! Just Add Soaks to this Woolie and enjoy! 7 different designs, $18.00 each. Personalize your own signature scent with our Just Add Soaks lotion! Start with the unscented lotion (as always, enriched with aloe vera, vitamins, oils and shea butter as well as free of sulfates and parabens) and add drops of Soaks, shake and apply. Each bottle comes with 3 fl oz. (88 ml) of unscented lotion. $8.00 per bottle. Our globe trotting diva has already been nearly everywhere in the world. She is already booking plans to visit your home next. Your Paisley Plush comes in a protective drawstring bag with a Just Add Soaks Paisley Go Card tucked in her back pocket (soaking bag included in drawstring bag), 22”H. Price is $45.00. 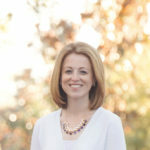 I had no idea about Pink Zebra until I recently was invited to a party by a PZ Consultant. I am (or should I say I was) a big Scentsy fan, so I just basically used Scentsy warmers and some fragrance plugins. I was spending so much for plug-in refills and noticed that my scents in my warmers would not last very long so I wanted to try something different. Laurie introduced me to the Soaks line. 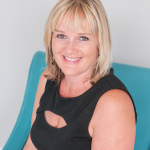 She is very knowledgable about the products and was able to answer all of my questions. I was able to smell various soaks and look at all the various products in the Soaks line. I immediately fell in love with the Naked Fish! 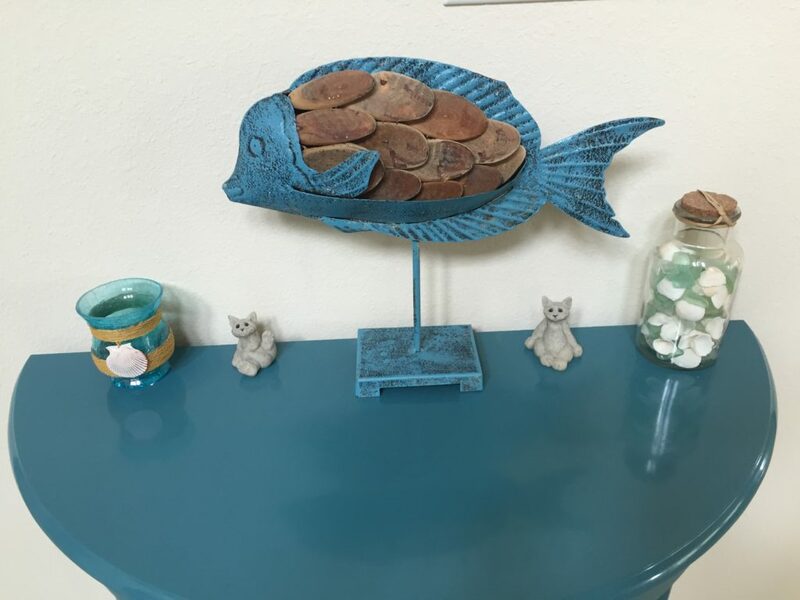 It matches my decor perfectly and I LOVE the color! Making this fish smell wonderful is super easy. Squirt some of the soaks on the brown scales and that is it. It is double-sided also! I scented both sides with Soaks scent Sunflower Fields and it made my entry way smell lovely. You can add as much or as little of the Soaks as you want. You can even combine different Soaks scents to have a custom scent! So much fun and I am so glad I don’t have to worry about unplugging something or making sure a candle isn’t lit when I leave the house. I have had this fish for a week now and the scent is still great. I have had many compliments on it from friends. I also wanted to scent my bathrooms. 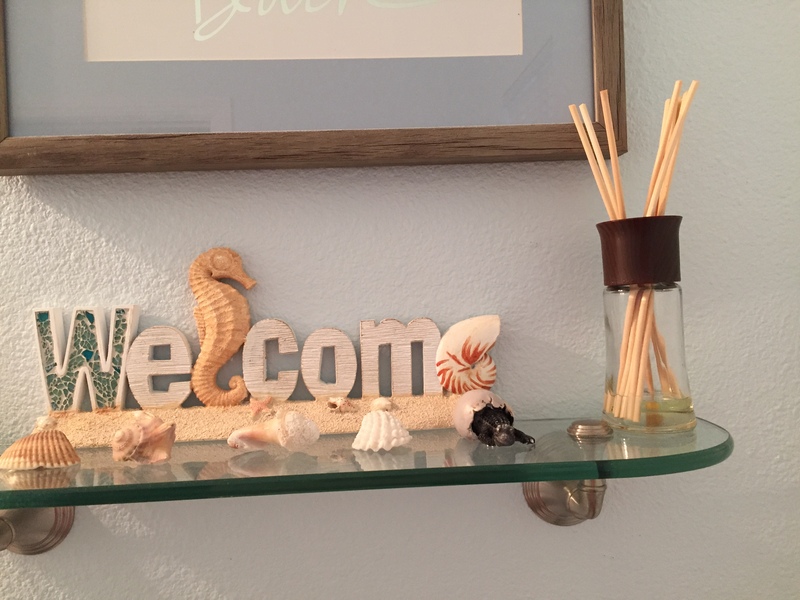 Laurie recommended the Naked Reeds for each of my bathrooms. At $6 each, it is very affordable to scent each one. One of the things about these reeds that I absolutely love is they come with a cap so I can add the soaks, put the cap on and shake! That way the scent covers all of the reeds right then and there. No waiting for fragrance! If I am out of town I can just cover the reeds with the cap and the scent will be saved. Just uncover when you get home. Love this!! You can also add different Soaks and make your own custom fragrance. I am so happy that Laurie introduced me to Pink Zebra Soaks. In my opinion everything is very reasonably priced, and I won’t go broke trying to make my house smell great. My house smells amazing and I can’t wait to try more of the scents! Please contact Laurie Leal for any questions and to place an order. Website and Facebook. Would you like to try Pink Zebra Soaks?! 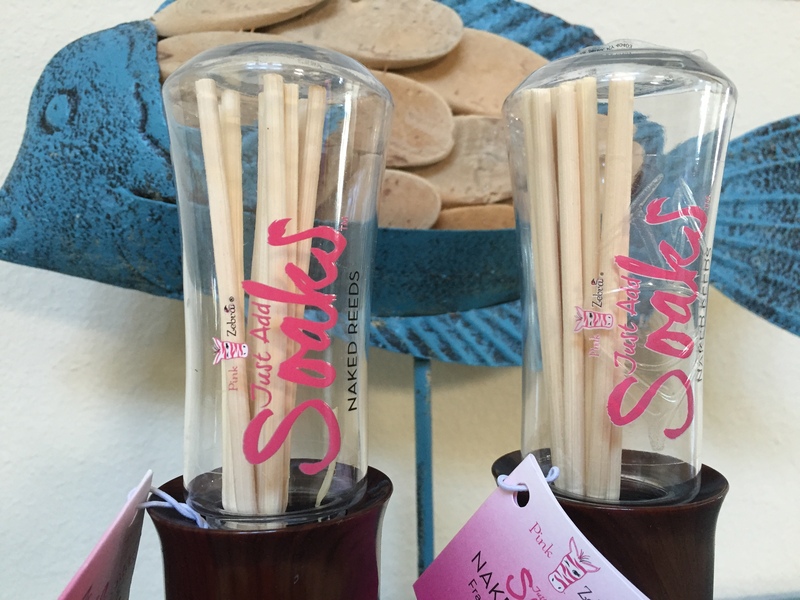 One winner will receive 2 Naked Reeds and one bottle of Soaks, scent of choice! Enter below! US Only, giveaway ends 7/11/16. ***I was given products in exchange for my honest opinion. This review is based on my experience with the products. I am not affiliated with the company and everything in this review is my opinion.